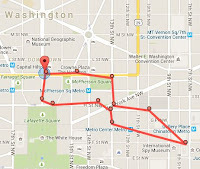 One Cool Tip .com: Google Knows Where You've Been. Maybe you didn't know you allowed it. It's not a bad thing. It's part of the price you are paying for accessing the free services of Google on your mobile phone. By letting Google know where you are, apps like Google Maps, and Waze can help you find your way. You didn't think it was all free did you? But you may be surprised to see that Google keeps a history of where you've been. You may not remember where you went last Sunday. But Google knows. 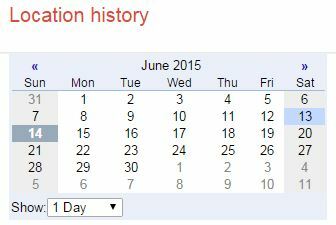 By clicking the calendar on the Location History page, you can go back and see where you traveled on a given day. It's OK to be freaked out. Everyone is at first. And then we all start clicking around on dates to verify we really went where the map shows. Your location history is not just known by Google. 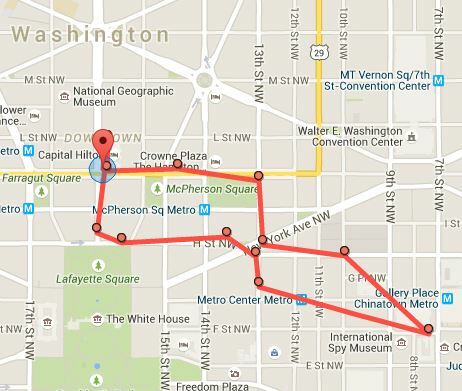 All, Most, Many mobile apps and websites keep track of your location history. Google is more open about it and shows you your history. Yay for openness! Just below the Location History calendar there is a link to delete a single day or all of your location history. Use it if you must. In a future Cool Tip, I'll show you how you can disable this Google feature on your iOS or Android phone. But it will put a dent in your use of mobile apps.